#readwomen2014 (started by Joanna Walsh) has been trending for a few days now and several news sites have declared 2014 the “Year of Reading Women.” As we all know, women write great books. Canadian women write great books. And so, to help you with your #readwomen2014 resolution, Room has compiled a list of fourteen books by Canadian women that we think you should pick up in 2014. Please note that this list was compiled by one editor, who definitely missed a lot of great books. This is obviously a shame, and so we invite you to tweet @RoomMagazine about any forthcoming or recently released books by women (whether they are Canadian or not) that you can't wait to pick up and read. Andrea Routley (published in Room 35.2) is one of those authors that I look for when I scan the table of contents of literary journals. In addition to being an excellent writer, she's edited the powerful collection Walk Myself Home: An Anthology to End Violence Against Women, and founded Plenitude Magazine, which has quickly become one of my favourite literary journals. This is her first collection, and I suspect we'll see a lot more from her in years to come. Cecily Nicholson has worked with women in the Downtown Eastside of Vancouver for over a decade, and is currently the finance administrator at Gallery Gachet, an artist-run centre that aims “to demystify and challenge issues related to mental health and social marginalization” through artistic expression. 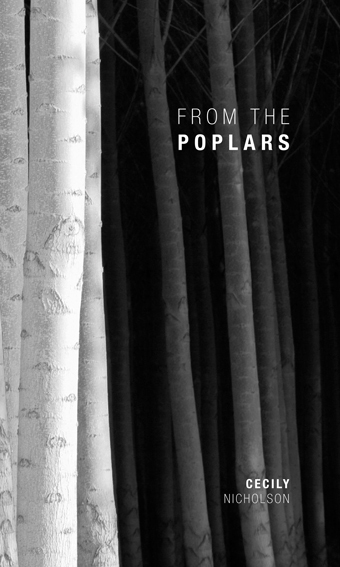 Nicholson's latest poetry collection is inspired by Poplar Island, one of Canada's first “Indian Reserves." Diane Obomsawin is best known as a celebrated Quebecois filmmaker with a distinctly minimalistic animation and storytelling style. This English-language collection about adolescence and coming out as queer promises all the charm of her short films, but would be worth picking up for the artwork alone. Nancy Lee’s collection of short stories, Dead Girls, earned rave reviews and was shortlisted for the Ethel Wilson Fiction Prize and Danuta Gleed Literary Award. Her long anticipated first novel tells the story of a troubled teenager in Vancouver in 1984. Toews’ A Complicated Kindness was one of those books that you read, reread, lent to friends and insisted they read, then demanded it back so you could reread it again. Everything she writes is brilliant. A friend of mine named his pet bird after her. We interviewed her once in Room, and she was delightful. Expect to laugh a lot and cry a lot in this one. And if you haven’t read her work before, that’s another six books for your reading list. Ivan Coyote (published in Room 35.3) and Rae Spoon have turned their popular show about identity, acceptance, and the gender binary into a book. The play – which you can see at the Surrey Arts Centre this February if you live in the Greater Vancouver Area – combines music, animation and storytelling in a way that's both hilarious and heartbreaking. I'm sure the novelization will be no less original, and no less thought-provoking. Note: Coyote and Spoon both identify as transgender and both use the pronoun "they". Reimer's energetic, social media-inspired collection won't be for everyone – the Globe and Mail described her last collection as “a giddy, whimsical and expertly timed series of fake-outs and sucker punches” – but if poems filled with hashtags, millennial angst, YouTube references, and #Vancouver appeal to you, then pick this one up. Reimer's work is a lot of fun. O'Neill's Lullabies for Little Criminals, one of my favourite books of 2006 (or 2007, when I read it), was shortlisted for the Orange Prize and the Governor General's Award. Lullabies fell into a category of fiction I like to refer to as “Tragic Quirky Child Fiction” (see also: Emma Donoghue's Room, any other book with an innocent child narrating horrifying circumstances, preferably in the first person), which when done right (and it's done right by O'Neill), is one of my favourite sub-genres. Saturday Night is also billed as a coming-of-age story, so I'm pretty darn excited for this one. Oh, and an open request to HarperCollins and Heather O'Neill – I'd appreciate a short story collection as well, please and thank you. This short fiction debut by Eliza Robertson (published in Room 35.3) will probably be one of the hottest Canadian titles in 2014. Robertson has been longlisted for the Journey Prize three times since 2010 and won the Commonwealth Short Story Award in 2013. And that's an abridged biography. Aislinn Hunter's (published in Room 31.2) first novel, Stay, received wide-spread critical acclaim and was adapted into a feature film, which premiered at TIFF and starred Orange Is The New Black's Taylor Schilling. The World Before Us is yet another hotly-anticipated second novel on this list, and tells the story of a museum archivist haunted by the disappearance of a five-year-old girl. 1-4: All four volume 37 issues of Room. If you’re looking to read more writing by women this year, subscribe to Room. Past contributors have included some of the biggest names in Canadian literature, and Volume 37 continues this tradition with featured work by Elizabeth Bachinsky, Larissa Lai, and Jessica Westhead. Plus book reviews of books written by women, and interviews with amazing Canadian women including Canada’s Next Top Model judge Stacey McKenzie and comic artist Emily Carroll. It’s only $30 to subscribe for issues jam-packed with literary excellence, and every subscription helps us continue to provide a valuable platform for both emerging and established writers in Canada and across the globe.